Most years, I’ve hinted broadly­—and often bluntly—to my husband Christopher about how I’d like to celebrate my birthday. (OK…so I’m a control freak who hates being disappointed). This year, however, otherwise preoccupied, I surrendered the fate of my day entirely to him. Plus, my birthday fell on a Sunday—December 11th—a non-event in my book. I gave no directive other than “Make my day special”… (No pressure, honey!) And one non-negotiable: cake for my birthday breakfast. Letting go of any expectations for a “perfect” birthday proved oddly liberating. The universe was magnanimous, providing plenty of lovely, sensual surprises along the way. It started Friday. Instead of our usual frantic two-hour commute from Manhattan to the Hudson Valley, Christopher decided that we would stay in the City and enjoy a relaxed evening. 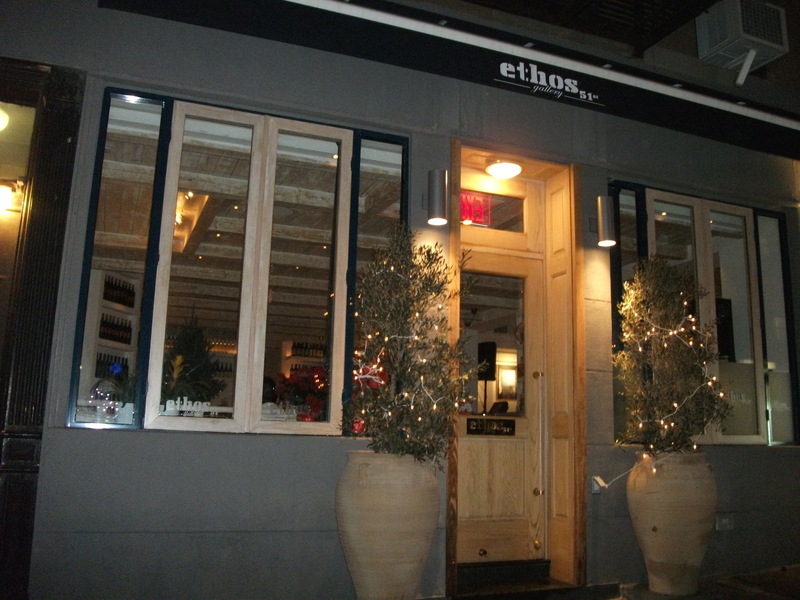 For me, that translated into a therapeutic two-hour workout at the gym before we headed to dinner at Ethos, a nearby Greek restaurant on 51st and First Avenue. To our surprise, the place was packed—and a crowd, awaiting available tables, lingered at the bar. Ever the impatient New Yorker— especially when famished—I flagged down the owner. “How long is the wait?” I asked, one foot practically out the door. Was the owner a clairvoyant, who discerned that I had an upcoming birthday? Had he mistaken me for a celebrity look-alike? Whatever the case, I didn’t ask questions when, a minute later, he beckoned to us from across the room. Magically, we were seated. Saturday dawned sunny bright and cold. En route to our house upstate, we made a quick stop at Bread Alone in Rhinebeck. A warming ratatouille-white bean soup (no cream, no butter and not salty, thank you!) and a multigrain roll was the perfect tide-me-over snack. At the house, we relaxed in a rare moment of mutual stillness. Mindful of the fast-waning glow of the mid-afternoon sun, Christopher set out for a long walk in the country. Meanwhile I indulged in the ultimate modern luxury: a long nap. I enjoy good food—even moreso when I’m actually hungry. To ensure buon appetito, I unfolded my mat and did an hour-long core workout (yes, our bedroom doubles as a home gym!) before our much-anticipated dinner at Mercato Osteria & Enoteca in Red Hook, Dutchess County. Husband and wife co-owners Francesco Buitoni and Michelle Platt run this authentic 36-seat osteria, a treasure in our upstate backyard. These days, a successful chef-owner who actually cooks in his own kitchen—until close—is a rare breed, but Buitoni does just this—and he has since the first day Mercato opened its doors—five years ago. There are no secrets in this open kitchen: tempers flare, dishes break…oh, but the food! 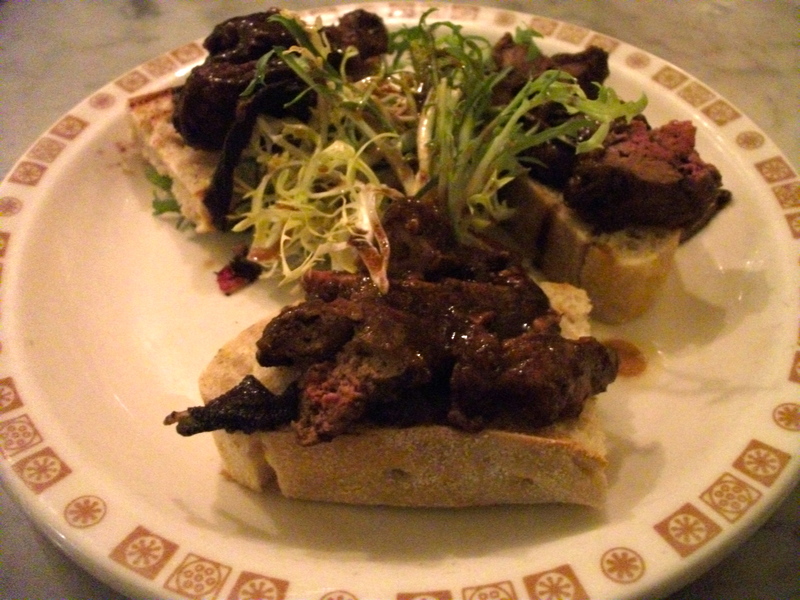 Mercato devotees can never get enough of Buitoni’s food. Always fresh. Locally procured. Seasonally inspired. Clean. No stinting on greenery. Always delicious. And nourishing. Birthday Dinner #2: We arrived to find a boisterous, jam-packed dining room. No matter. 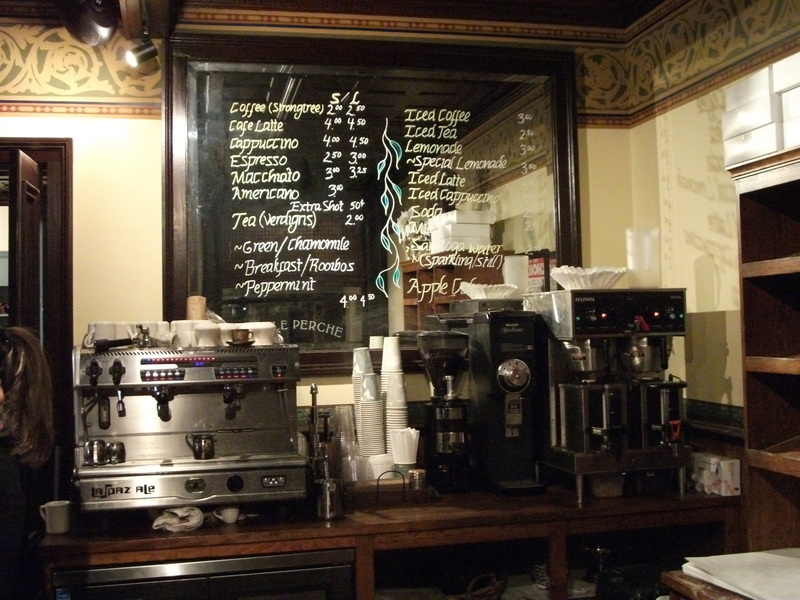 We took happy refuge at the marble-topped bar. The menu changes weekly, but, like a homing pigeon, I riveted toward my favorites of the moment: the finely julienned kale salad with currants, pine nuts and paper-thin shavings of ricotta salata; the balsamic-marinated chicken liver bruschetta (right) and the penne arrabiata. 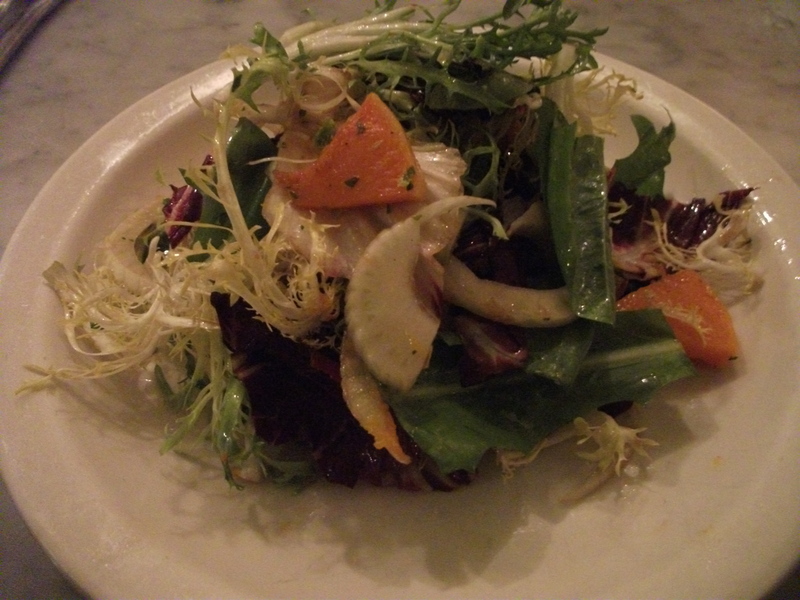 Venturing further afield, Christopher started with a trecolore salad of endive, frisee and radicchio with fennel and roasted butternut squash (above left). 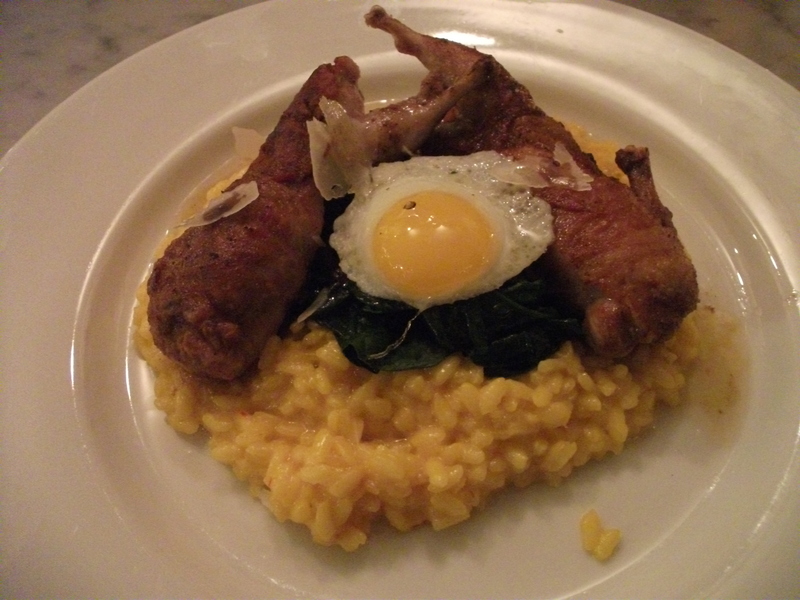 Next: a show-stopping quail saltimbocca laid alongside spinach topped with a fried quail egg on a bed of risotto Milanese (below). Straddling a high-wire act of flavors and textures—gamey, savory, rich and creamy— the quail saltimbocca is a righteously toothsome winter dish. On Sunday, I opened my eyes to a sunlit-flooded bedroom. One year older. 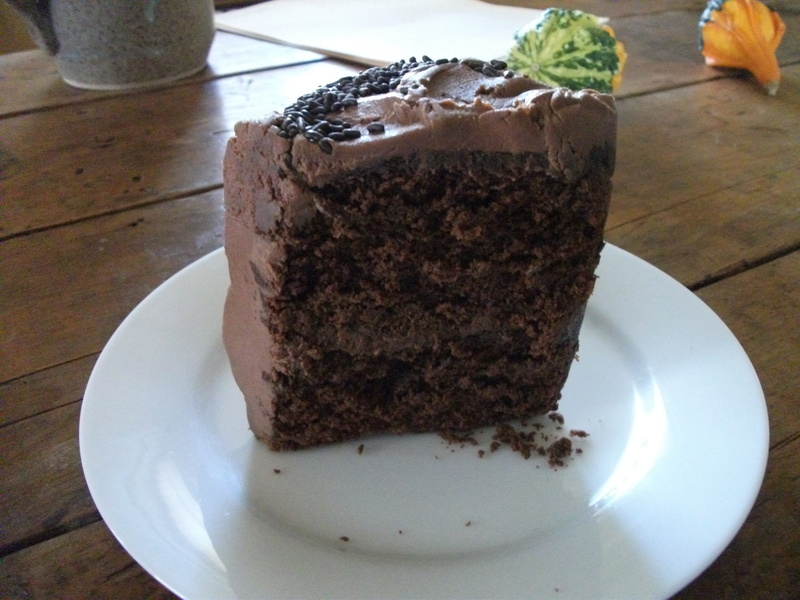 At breakfast, a towering wedge of three-layer chocolate cake with chocolate buttercream frosting from Buttercup Bake Shop awaited. Christopher had snuck it up from the City. One word: YUM! Though cold, it was a gorgeous day. I layered up before heading out for a quick, hard run—just three miles—still worth the full-on blast of sunshine on my face and the heart-pounding race-against-time exertion. 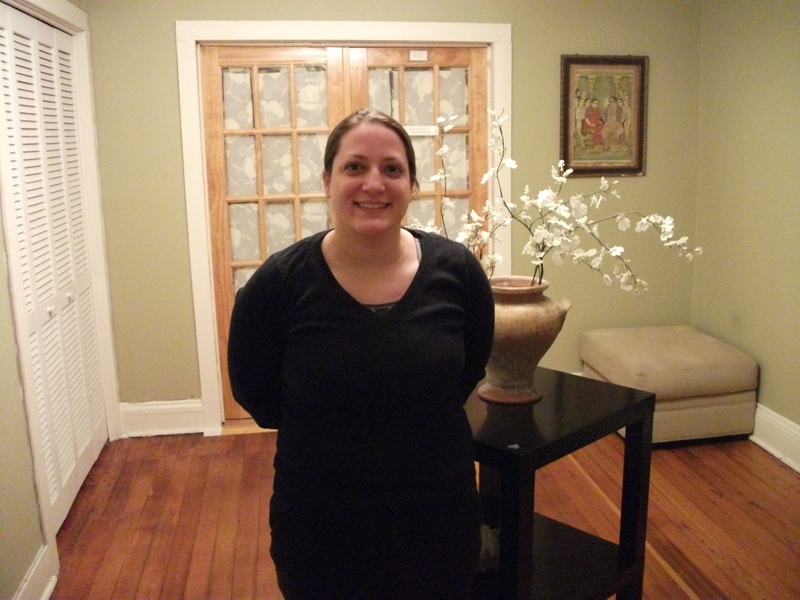 I now felt justified in claiming my birthday gift: an hour-long, deep-tissue massage and 30-minute paraffin foot treatment that Christopher had booked for me at Bodhi Spa in Hudson. Are you a “lister” with endless to-do lists running through your head? I am. When Crystal, the masseuse (right), began our session, my mind raced, my body tensed. Gradually, her firm, authoritative strokes coaxed out the knots in my neck, shoulders and lower back. I began to relax, tuning into the fading afternoon light and faint scents of jasmine, rose and lemon. 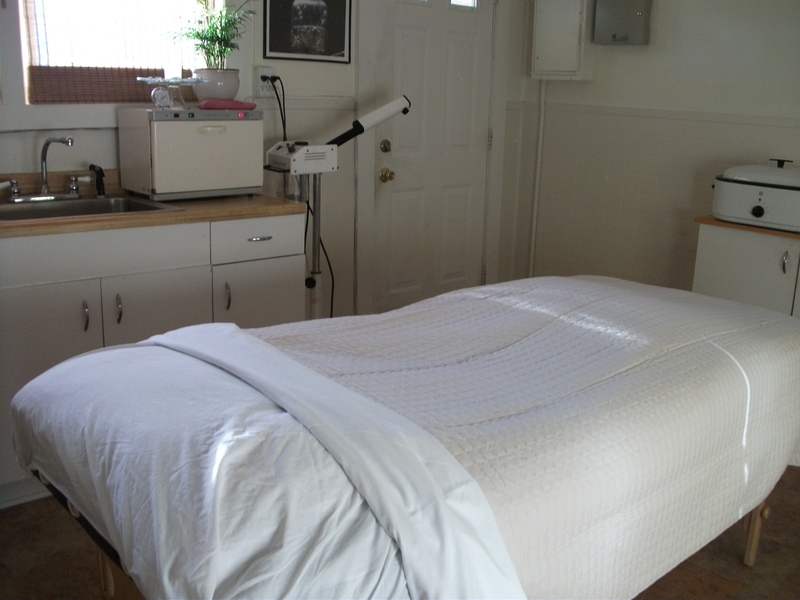 No wonder deep tissue work is one of Bodhi’s most popular treatments. I’d never had a paraffin foot treatment, an antidote for dry, cracked feet. No wonder Christopher had been studying my feet lately! I’m a runner with perpetually dry, cracked heels. And my nervous tic—picking at my heels—doesn’t help. After Crystal slipped my feet into baggies, I felt a gush of warm, melted wax (it’s odorless and non-toxic) over my feet as she poured it into the baggies. Once the wax set, she peeled it off and gave my battered feet a heavenly massage with targeted pressure points. At the end of our session, I felt completely relaxed, renewed…..and starved. This time of year in Hudson, there aren’t a lot of eateries open on a late Sunday afternoon. It gave us a chance to discover the charming Café La Perche, a boulangerie, bar and café just down the street from Bodhi, which recently began serving dinner. 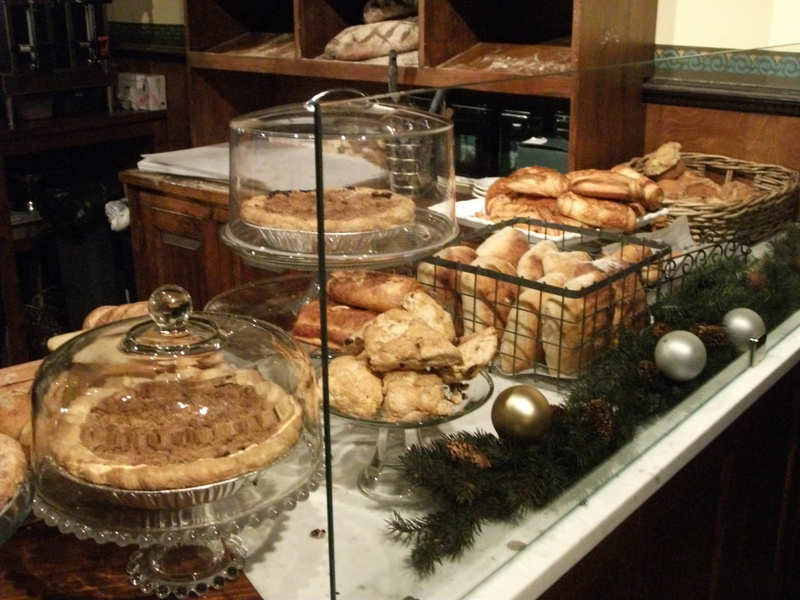 Now famous for their artisanal breads made in a one-of-a-kind 17-ton Munoz oven from Anjou France (there are only three in the U.S.), Café La Perche is a sensation in its own right. Since opening in June, it’s been the go-to bakery for Hudson locals, hungry for freshly baked croissants, baguettes and rustic artisan breads. The café portion, with its pressed dark chocolate wood ceiling and wainscotting, wooden tables and burnished floor, is handsome and inviting. Birthday Dinner #3: After studying the well-edited menu (where, not surprisingly, crostini and sandwiches are main highlights), we laughed when we simultaneously ordered the same thing: the warm roast pork sandwich, runner-up favorite to the top-selling ham and Gruyère. We just couldn’t pass up a sandwich featuring locally sourced pork loin from Copake. 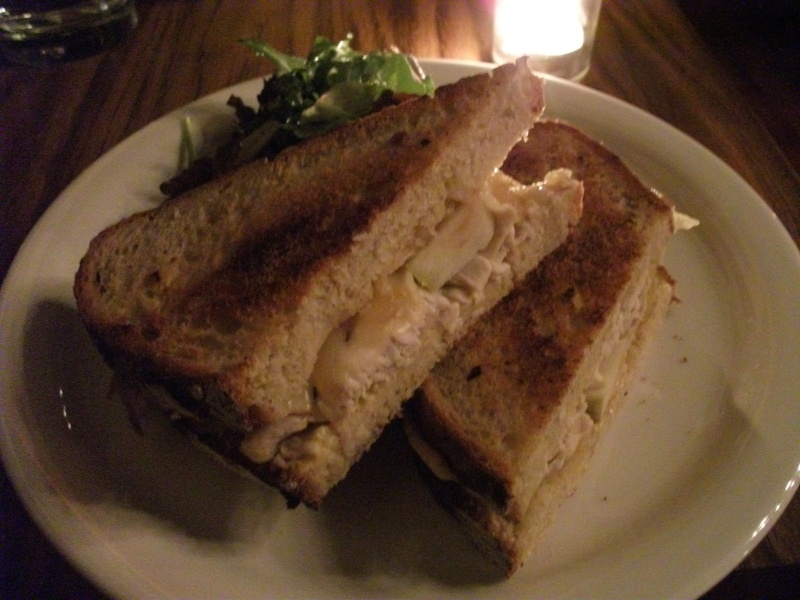 The whole savory lot included warm roast pork, smoked gouda, onion jam, caramelized apple and a smear of sinus-clearing whole grain mustard between two generous slices of grilled peasant bread, served with an organic green salad ($14, right). We clinked our glasses of ice water, toasting another delectable birthday meal. This entry was posted in Food, Health, Hudson Valley, Local Food, New York City, Wellness and tagged birthday cake, Bodhi Spa, Bread Alone, Buttercup Bake Shop, Cafe Le Perche, Francesco Buitoni, Hudson NY, Mercato Osteria, meze, NYC Greek restaurants, pork sandwich, Rhinebeck. Bookmark the permalink.